UPDATED | Rupert Murdoch's News Corp is to buy TalkSport owner Wireless Group in a £220 million deal. In a statement issued today by the company - known until earlier this year as UTV Media - the company recommended the cash offer from News Corp. Recommending the deal, the company noted that Wireless' audience complements the audience of News Corp's The Sun, and "there is significant opportunity to increase engagement and monetisation through cross-promotion and leveraging Wireless' and News Corp's respective talent and advertising sales forces. The acquisition also raises the prospect of further international digital expansion for the Wireless brands." Under the terms of the Offer, Wireless Shareholders will receive, for each Wireless Share held, 315 pence in cash. In addition, Wireless Shareholders named on the register on 20 May 2016 will receive the previously announced Special Dividend of 6.15 pence per Wireless Share and the 2015 Final Dividend of 7.60 pence per Wireless Share, both of which are expected to be paid on 15 July 2016. 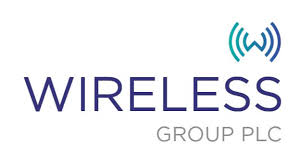 Wireless Group also operates numerous local and national services in the UK and Ireland, including Virgin Radio UK, TalkRADIO, Q102, Signal, Swansea Sound, U105 and The Wave. Earlier this year, the company sold off its TV assets - UTV and UTV Ireland - to ITV. I can't find anywhere else to ask this question. Why do so many articles on this site have no ability to add comments these days? I had to scroll back two pages to find this one.